Named By: Harry Govier Seeley - 1880. 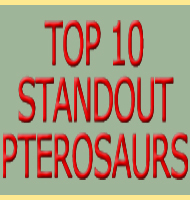 Classification: Chordata, Reptilia, Pterosauria, Rhamphorhynchoidea. Species: R. bucklandi, R. depressirostris, R. prestwichi. Type: Exact diet unknown but certainly carnivorous as a base. 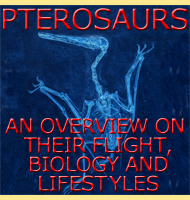 Size: Estimated 2 meter wingspan. Known locations: England, Oxfordshire - Taynton Limestone Formation (Stonesfield Slate). 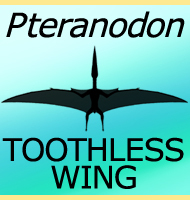 Fossil representation: Several specimens of jaw and wing fragments. 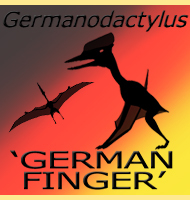 Because of the fragmentary nature of Rhamphocephalus specimens it is hard to determine the kind of pterosaur that it was in life. 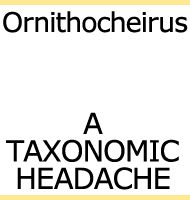 Also the poor preservation of the specimens have led many to doubt if they actually represent a new genus, in fact the term wastebasket taxon has been applied to Rhamphocephalus much like it used to be applied to Pterodactylus. 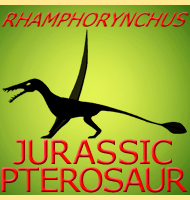 The only thing that has been ascertained is that Rhamphocephalus was a basal pterosaur of the Rhamphorhyncoidea. 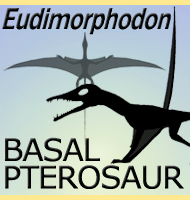 Aside from its earlier presence in the fossil record, the wings between basal and advanced pterosaurs are proportionately different in the bone sizes.